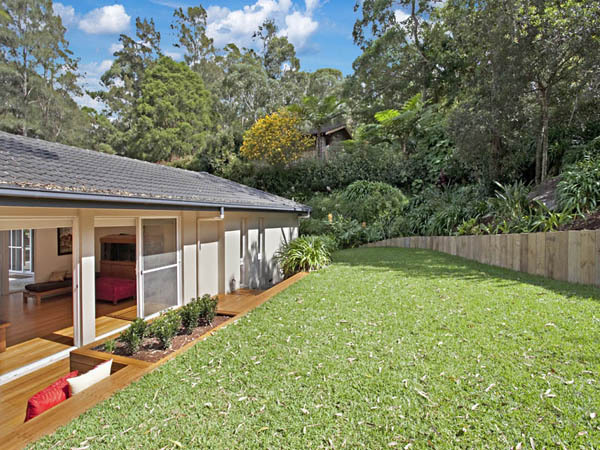 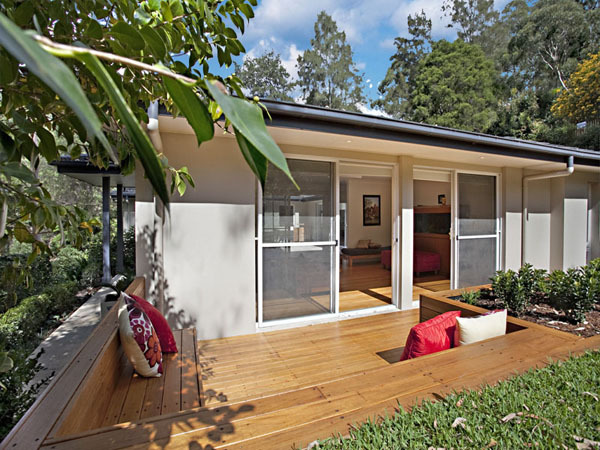 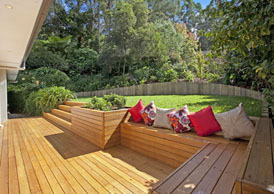 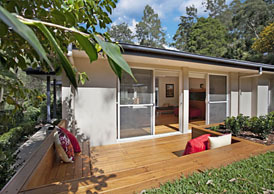 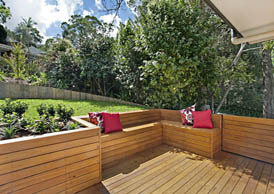 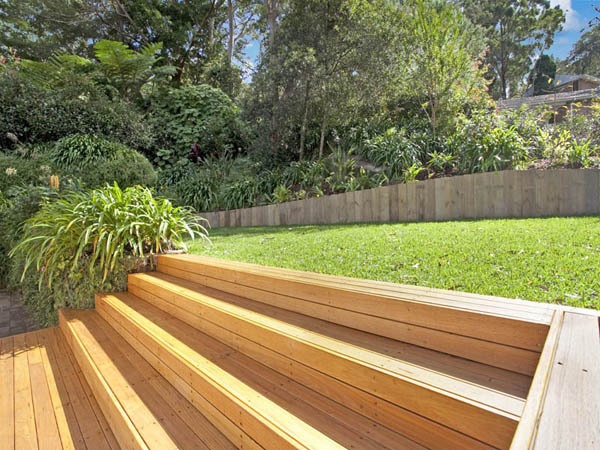 This family home in Pymble had it all but one thing was missing a lawn. It seemed a very difficult task to install a useable, level and large area that would be sufficient without breaking the bank. That is where Valley Garden Landscapes came in. 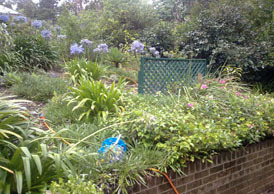 A practical approach was decided on. The large sloping area to the side of the house was chosen as the most likely spot. 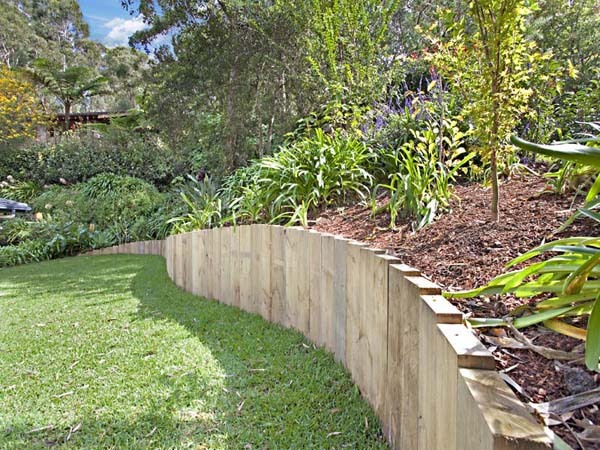 An existing retaining wall was utilised and it was from that point that we dug back to create a level area thereby minimising the amount of dig out required and consequently creating a smaller retaining wall at the rear of the property. 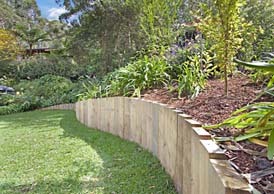 An organic shape was designed to fit in with the existing contours and the soil was retained by a vertical sleeper wall. 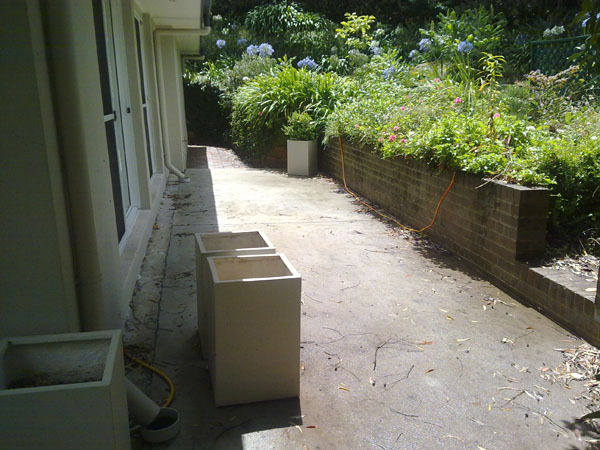 The change in levels at the house side of things we have used to our advantage by installing some in-built seating and wide shallow steps. 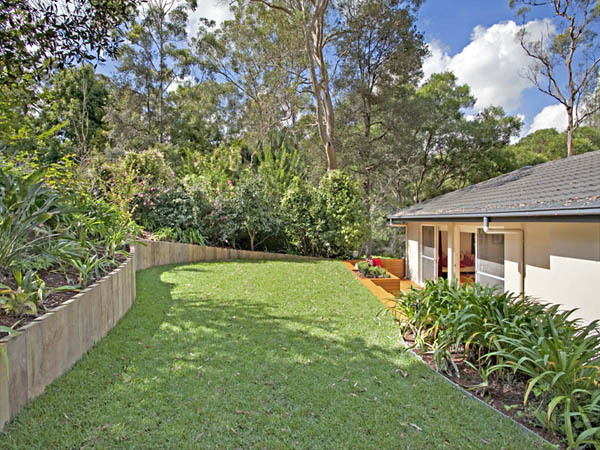 What was previously unusable is now a wide expansive open lawn area that not only is a tremendous asset to the house and family but has added a tremendous amount of value to the property.